This program is designed for kids ages 14-18 that have some previous livestock judging experience. 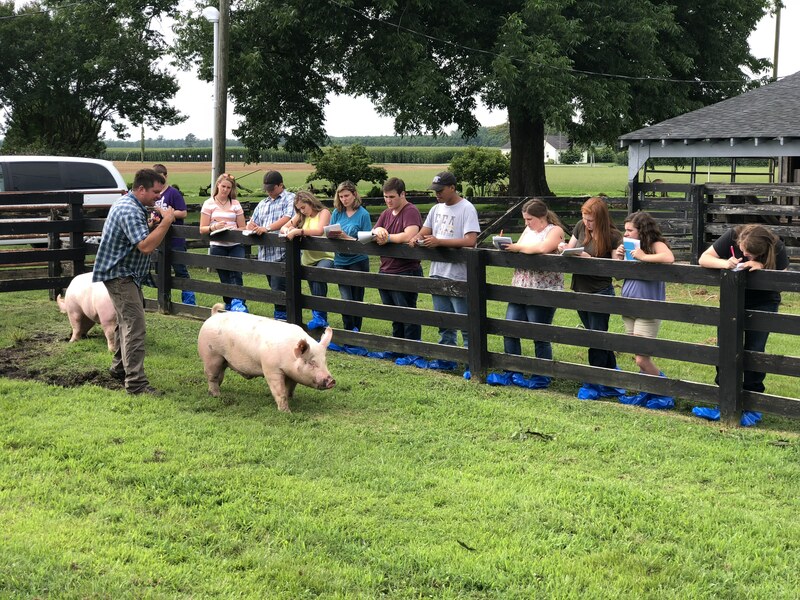 This program is designed to allow youth more opportunities to practice livestock judging and prepare them to compete at the National Level in both 4-H and FFA competitions. Youth will have the opportunity to work with numerous collegiate students to help prepare these young people in both evaluation skills and oral reasons. A registration fee of $200 is required to participate in this program. This money will go to cover travel costs which include van rental and lodging. There is no cost to apply and only youth that have been accepted to participate will be expected to pay the fee.